Last night, my lovely new friend Erin, the blogger behind My Twelve Cents' Worth, and I danced our socks off at the amazing Sugar Swing Ballroom. The joint was so jumping they had a line up of people waiting outside to get a chance to dance!! 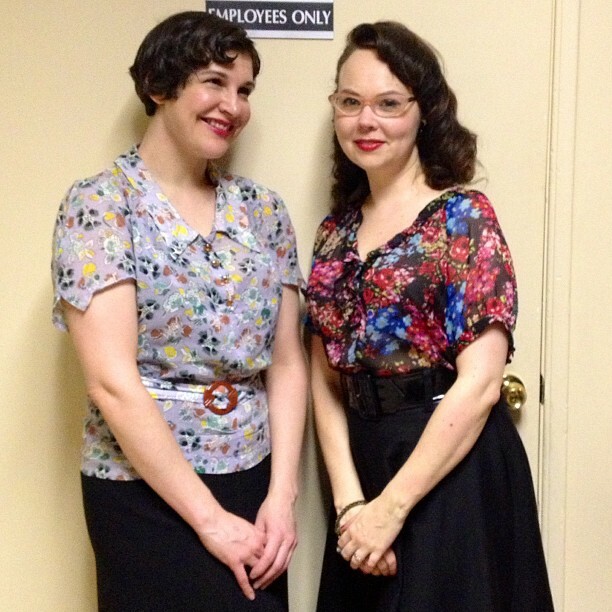 Kind thanks to the person who snapped this cute photo of us, which I've dubbed: "Imagining 1930s Mildred Pierce and 1950s Mrs. Draper in the same typing pool," and the Sugar Swing photog who caught an image of me mid-dance :). Yay! 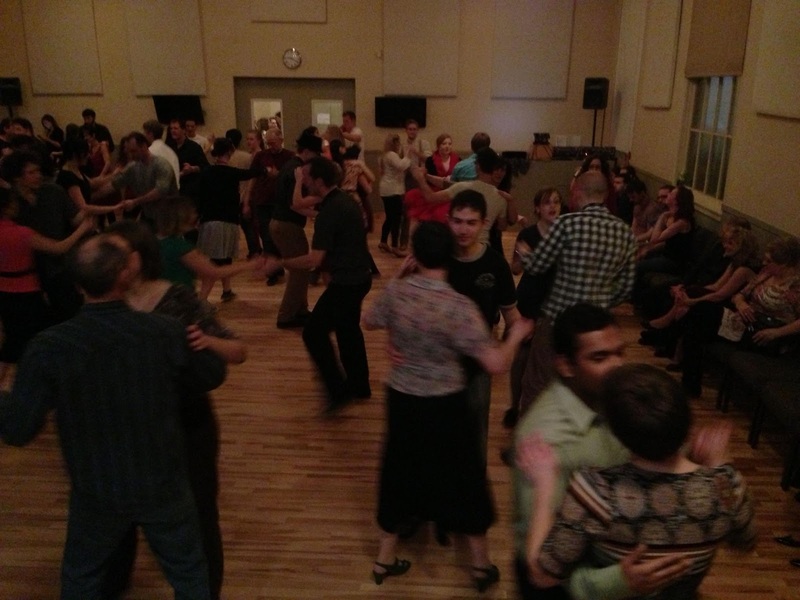 Such fun to be back in the "swing" of things where my dancing passion is concerned! I leave off with a link to a fun video showcasing some of the more advanced dancers at the Sugar Swing School. Something to aspire to this spring and summer! 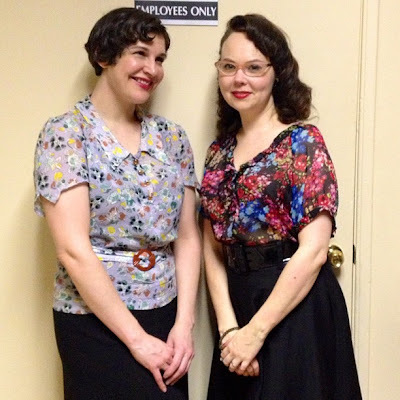 My outfit: 1930s style blouse (made using 30s fabric, buttons, and buckle): Nudeedudee; 1930s skirt: Swish Vintage. Erin tells me her very authentically 1950s looking ensemble, including fabulous floral blouse and black circle skirt are entirely repro! This lady knows how to put together a swinging' dance ensemble! woohoo, glad you're having fun dancing! You both look sensational! I love how your outfits, though inspired by eras 20 years apart, strike so many style notes in common. You don't get to see real world modern side-by-sides like that very often. You look lovely, and that looks like so much FUN!